Just a couple of days ahead of Valentine’s Day, Samsung has announced a slew of discounts on all Galaxy Note9 and Galaxy S9+ models in India. 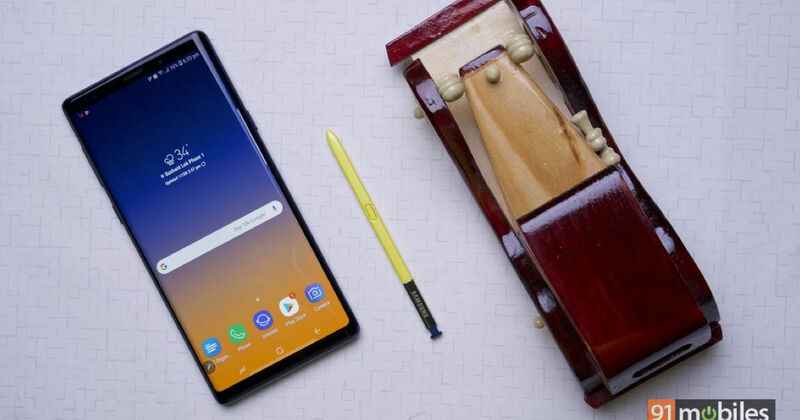 As part of the ‘Best Days’ offer, the Galaxy Note9 variant with 8GB RAM and 512GB storage will be available for Rs 77,900 after an instant cashback of Rs 7,000. A similar price drop of Rs 7,000 is being offered on the 64GB, 128GB and 256GB variants of Galaxy S9+ as well, which will now retail at Rs 57,900, Rs 61,900 and Rs 65,900, respectively. To recall, we exclusively reported the drop in Samsung Galaxy S9+ price in India last week for the offline market. Now, with the official announcement, the new prices should be effective in the online marketplaces as well. Furthermore, Samsung will be providing additional cashbacks for HDFC credit and debit card holders. Users will be eligible for an additional discount of Rs 6,000 and Rs 4,000 on all models of Galaxy Note 9 and Galaxy S9+ respectively, if they pay using their HDFC cards. Samsung has also announced a special Valentine’s Day offer under which the HDFC cashback will be increased to Rs 8000 and Rs 6000 on all Galaxy Note9 and S9+ models respectively, for a limited period. The Korean company will also be running an upgrade offer as part of the Valentine’s Day sale under which users will be able to exchange their old smartphones for a new Galaxy Note9 and Galaxy S9+ with an exchange bonus of up to Rs 9,000. The offer is valid till February 28th, while the Valentine’s Day offers are limited from February 13th till February 15th.